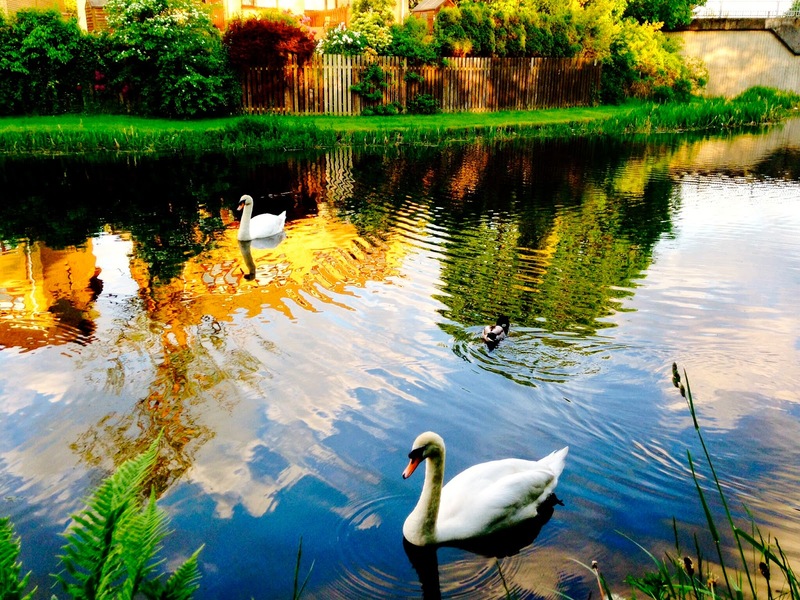 Last month, I wrote about the swans we encounter along the Forth & Clyde canal. One pair had produced a clutch of nine eggs. 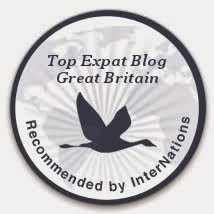 I expressed my misgivings about the safety of the young, whether as eggs or newborn cygnets. 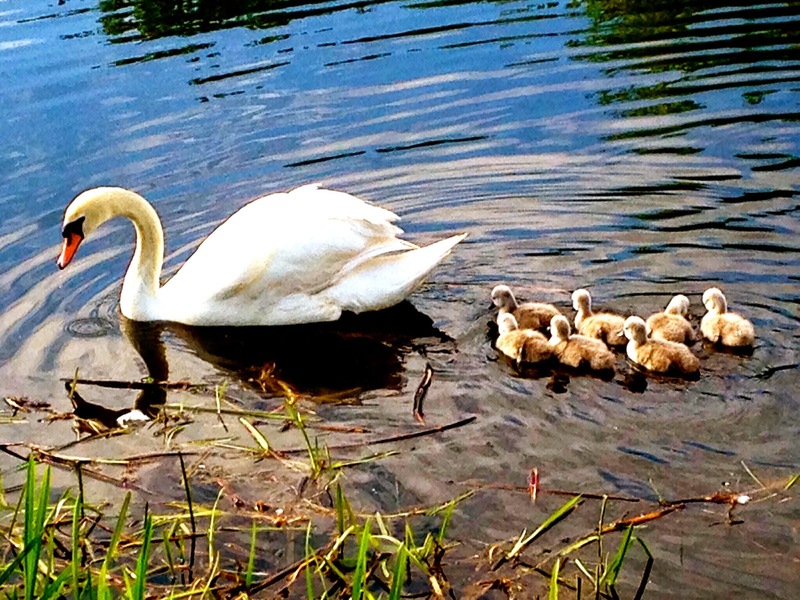 When we got back from Paris, we found seven new cygnets with their mama and papa! Seven out of nine eggs was an excellent survival ratio. The wee ones stuck close to their parents while touring their section of the canal. All seemed well. Mama and papa kept close watch over their new babies. The cygnets followed mama as she looked for food. They got noticeably bigger in just a few days. 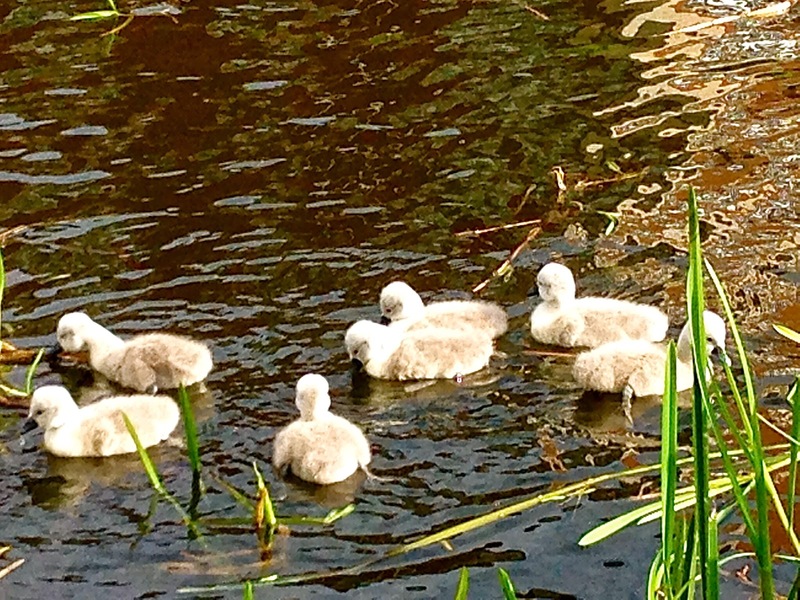 We've been told that year after year the cygnets along this stretch of the canal don't survive. But the ducklings on the same stretch of the canal do. No one knows why. Although a few folks venture guesses like disease, my theory is predation. Whether those predators are land-based or waterborne, I have no idea. The sudden disappearance of all seven at the same time — with no trace of feathers, entrails, etc. — gives me pause. 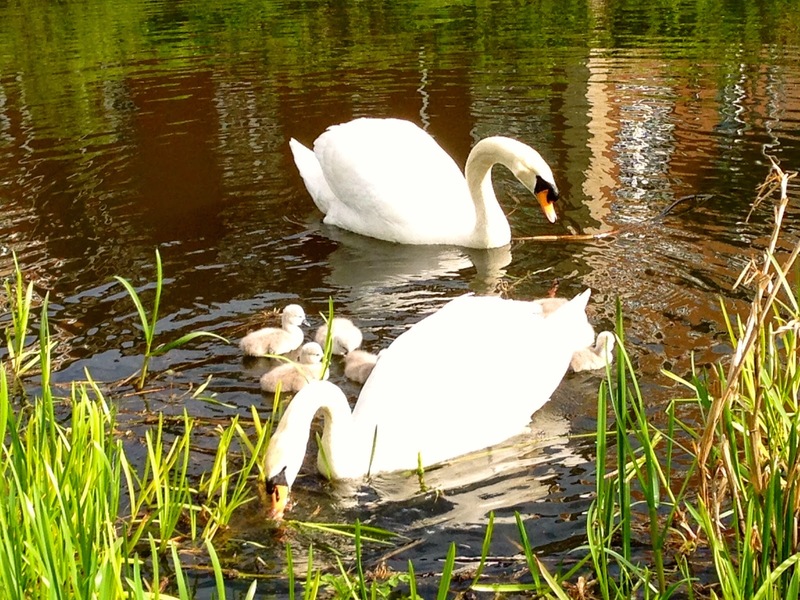 A dog or a fox or a snake might get a couple of cygnets at a time. All seven at once? Without a trace? I worry the predator is human. The mama and papa carry on. They show no sign of fear, readily approaching for food. The male approaches to see if food will be offered. Sorry, buddy. Just an unpaid photo shoot. If the swans stay true to form, they'll have another clutch next year. And the cygnets will then disappear. I wonder if the Queen's royal Swan Marker has interest in her Scottish swans. We could use his expertise along the canal.